My family joined Temple Beth Torah in 2009 and we have been active ever since. We have made friends in this community, our children have made long lasting connections with other Jewish children and we have experienced kindness displayed during times of joy and sadness. I am honored to have the privilege of leading and collaborating with wonderful people in my role as President. I am excited about our Rabbi, Rabbi Steven Edelman-Blank and our Education Director/Cantorial Soloist, Linda Myer. Together we create a place where your spiritual, educational and social needs can be met. We are here for you no matter what you need or when you need us! We provide teaching and learning opportunities for varying demographics within our community. These aren’t just words on paper, they are demonstrated by our committees our clergy and our congregants. We have a very active Sisterhood, Israel Action Committee, Tikkun Olam Committee, Ritual Committee, Adult Education, social programming and many other activities that make Temple Beth Torah the exciting and strong community that we are. Through our varied programming and activities there is much opportunity to participate and get involved. We have a strong religious school that offers programming for students from ages 4-14. We foster our students’ love of learning and provide a solid foundation for building strong and lasting Jewish identities. 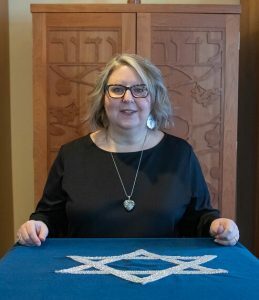 Temple Beth Torah is a wonderful, diverse community where we appreciate what each member brings to the congregation. Please join us and you too will find it to be a very special place.